(Sports Page) — The Violet O. Jeffers-Nicholls Primary School held its annual sports meet under the distinguished patronage of two former students at the school and actual sisters, Tamica and Estisa Maynard of Liburd Hill. Gold house won the march past which saw all of the houses, complete with pom-poms in an impressive display. 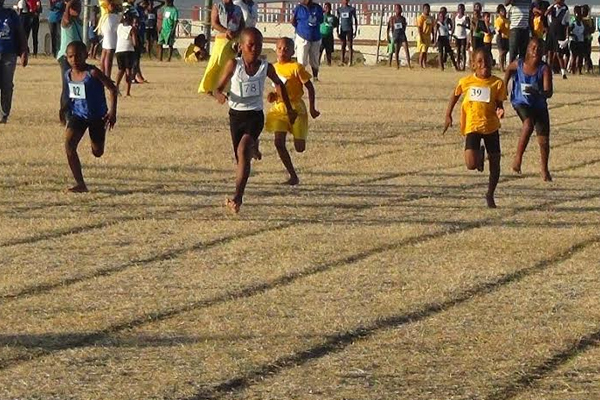 The athletes competed in the 60; 100; 200; 400; 800 and 1200 meters races, along with the 4X100 and 4X400 meters relays. Also assisting in the entertainment of the sizeable crowd, were the fun races such as lime and spoon, sack races and obstacle races. The children were given their medals immediately after the completion of the races, compliments of Dr. Guilbert Daniel who is originally of Cox Village, who provided all of the medals for the school..